In 1940, an American claiming to be Canadian volunteers for the British Army's paratroop school. Paul Lartal of the Foreign Legion meets the princess of a lost city in the Algerian mountains. Led by British officers, partisans on Crete plan to kidnap the island's German commander and smuggle him to Cairo to embarrass the occupiers. Allied agents attempt to infiltrate the Nazis' rocket research site. Story of the military truck drivers who kept the Allied armies supplied in Europe during World War II. As the Allied armies close in, the Germans decide to blow up the last Rhine bridge, trapping their own men on the wrong side. But will it happen? During World War II, several oddly assorted military experts are teamed in a mission to raid and destroy a bridge vital to enemy strategy. True story of a British attempt to trick the enemy into weakening Sicily's defenses before the 1943 attack, using a dead man with faked papers. An electronics expert creates a huge bookie broadcast system for his crime boss, and takes over operations when his boss is murdered. His greed leads him on a deadly destructive path. During WW2 in North Africa, an American sergeant serving with the British 8th Army is captured by the Germans but he hatches various plans of escape from the POW camp. World War II drama that follows a group of British draftees, starting with their rigorous basic training, and ending with their deployment in North Africa. R.S.M. : I'm sorry for the man who hears the pipes, and who wisnae born in Scotland. This film is a very good look at the start of the British airborne forces during World War II. 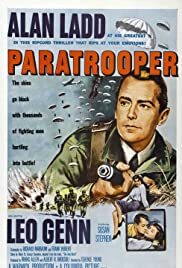 "Paratrooper" was released in America in late December 1953, more than four months after its early August premier in the U.K. where it was called "The Red Beret." That is the name of the book from which the film is adapted, written by Hillary St. George Saunders. Columbia studios clearly made the film for people on both sides of the pond. So, the plot includes an American who enlists in the British Army in Canada. That's OK, and we know quite a few American fliers joined the war effort early by serving in the RAF. Here it provides the love interest part of the film that Hollywood often included for wider audience appeal. But, I think any number of other actors might have filled the role better than Alan Ladd. His Private McKendrick (aka, "Canada") seemed to have a chip on his shoulder. We learn of his background halfway into the film, and one can understand his experience affecting him. But, not that he would be so touchy and angry toward other men. 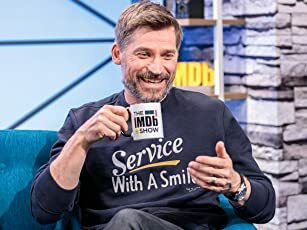 Whatever the reason, his character doesn't come across as genuine. That aside, I give this film eight stars for its interesting and early look at jump school training and the start of the British Airborne. Years later, I served as a paratrooper in the U.S. 504th and 509th Airborne regiments (1962 through 1964). Americans train at the Ft. Benning, GA, jump school. I became familiar with the British Airborne while stationed in what was then West Germany. We had NATO (North Atlantic Treaty Organization) military exercises in Europe with the Brits, West Germans, and others. And, I was in charge of our airborne PIO (Public Information Office) when we sent one of our troopers through the British jump school. He photographed and reported on it. And, yes, the Brits were still jumping from balloons in training. From its very beginning jump training has undergone changes, just as the aircraft, equipment and other things have changed. The film shows the first planes the Brits used. They were modified Wellington bombers and men dropped through an opening in the floor. Soon, "Dakotas" (Douglas C-47s) arrived from the U.S., and troopers jumped out of side doors behind the propellers. In 1962, I trained in C-119 "Flying Boxcars," and then jumped from C-130s (Hercules transports) and helicopters in Germany. The Brits needed to make seven jumps to earn their parachutist wings. We had to make five jumps in the U.S. The film shows training in hand-to-hand combat. Americans got that in advanced infantry training before Jump School. We don't see any other physical training in the film, but all paratroopers have much more rigorous physical conditioning. One thing was glaring to me – I didn't see a single trooper land with a PLF (parachute landing fall). Maybe this wasn't developed until well after the war, but PLF landing had tremendous results in reducing injuries. In a nutshell, the trooper is trained to turn or orient his chute for a side landing, and then in a relaxed position as his feet touch the ground, he rolls his body to the right or left, with his calf, then hip, then side absorbing the impact. In the 17 jumps I made, I only got hurt once, when I landed on a big boulder right in the middle of my back. In this movie, Stanley Baker plays one of the training cadre, Sgt. Breton. On the first airplane jump, his chute fails to open and he falls to his death. The Brits called his malfunction a Roman candle. In the American airborne, we call it a cigarette roll. But it's interesting that the Brits apparently didn't carry reserve chutes. They didn't appear to have them on in the film. So far as I know, American paratroopers always have had a reserve chute on the front. If anyone had a cigarette roll or other malfunction, he would release the main chute and pull the ripcord on his reserve. I saw half a dozen or more uses of the reserves in my airborne service. Some other things missing from this film were training jumps from towers. In one scene, I can see what looks like a 250-foot tower in the background. I also enjoyed the portrayal of the chute packing unit. It's too bad they didn't show the actual packing tables. And the funniest thing in this film is the strange looking headgear the Brits wore in jump school. "Paratrooper" is a good portrayal of the early action of the British Airborne. I thank Steve Crook from London, who's review tipped me off to the background of Major Snow. Leo Genn plays the part very well in this film. Snow was John Frost in real life. He became best known after his paratrooper battalion took the north end of the Arnhem Bridge in Operation Market Garden in September 1944. The Brits held out four days against a German Panzer division. They were captured only after they ran out of ammunition. In the 1977 blockbuster movie, "A Bridge Too Far," Anthony Hopkins plays Lt. Col. Frost beautifully. Frost retired as a Major General in 1968, and was a close adviser on that film. The only thing I see wrong in this movie is the name of the first operation the troopers had. Major Snow calls it "Operation Pegasus." In fact, it was called Operation Biting, also known as the Bruneval Raid. There was a real Operation Pegasus, and it was the escape plan across the Rhine River for many of the Brits trapped by the Germans in Operation Market Garden. War movie fans and those who like history especially should enjoy this film.